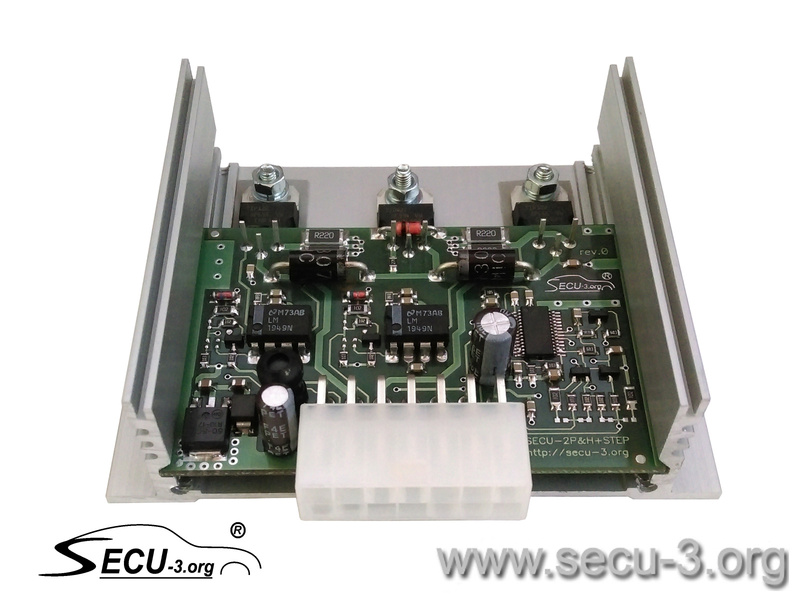 2-ch P&H injector and stepper motor driver unit. 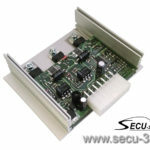 Contains two channels to drive low-impedance (P&H) injectors and stepper motor driver. Designed to drive throttle-body injectors and stepper IAC valve. It is a versatile unit. 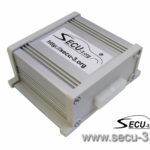 Can be used either with SECU-3 units or with any other EMS. 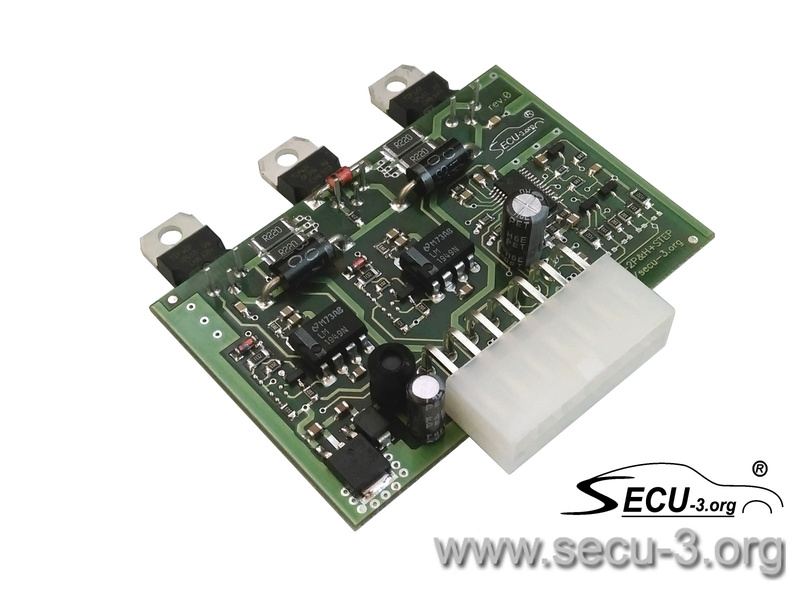 Injector drivers are built on the LM1949 IC (peak/hold ratio = 4 and can’t be changed). 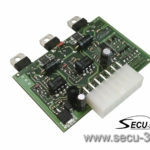 Current limiting in hold mode is linear, without using of PWM. 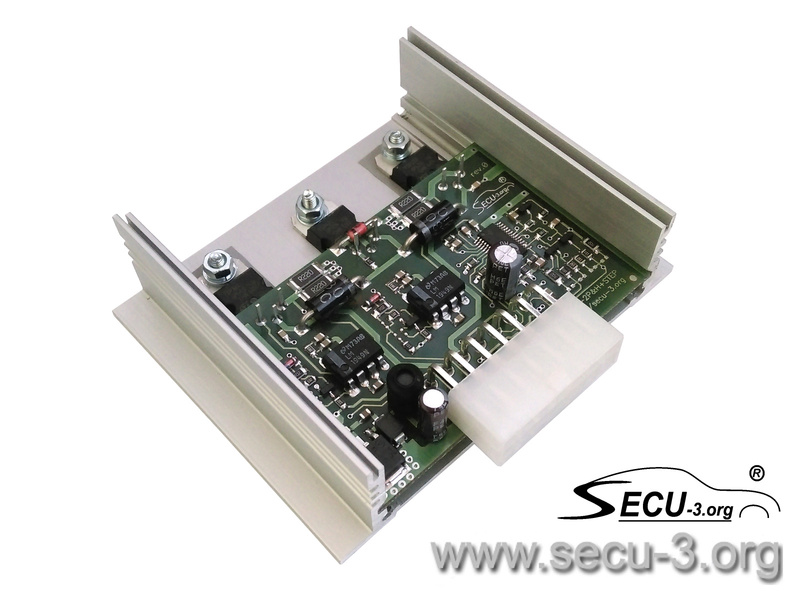 Metallic enclosure used as heat sink for power dissipation. 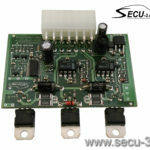 Stepper motor driver is built on the DRV8825 IC. 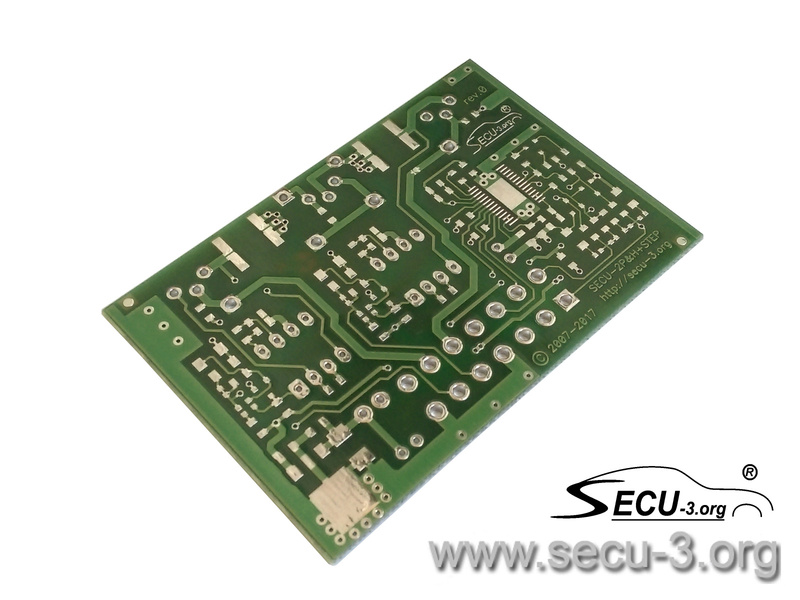 Driver’s PCB has no load resistors intended for “cheating” of the ECU (not actual when using with SECU-3). 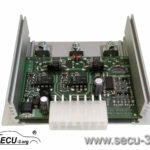 If ECU outputs error (e.g. 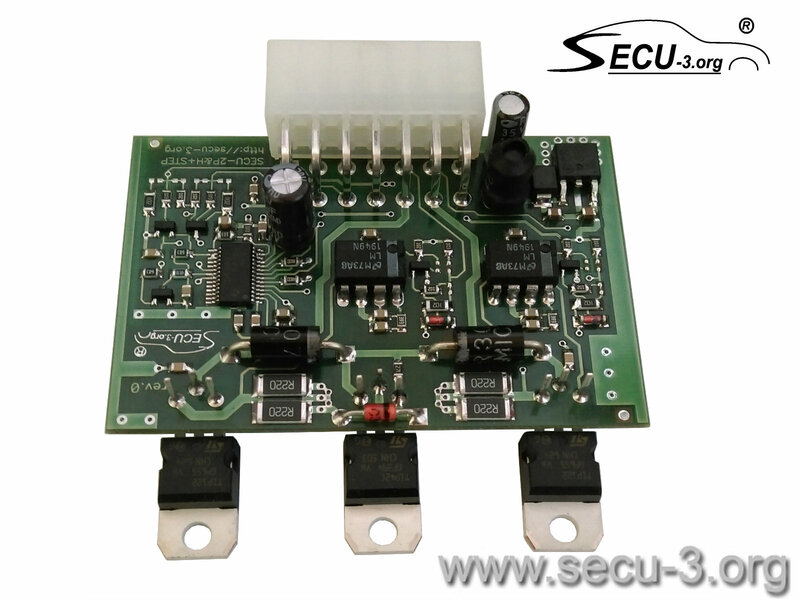 injector circuit malfunction), then it is necessary to connect 150 Ohm resistors between injector’s outputs of ECU and 12V. 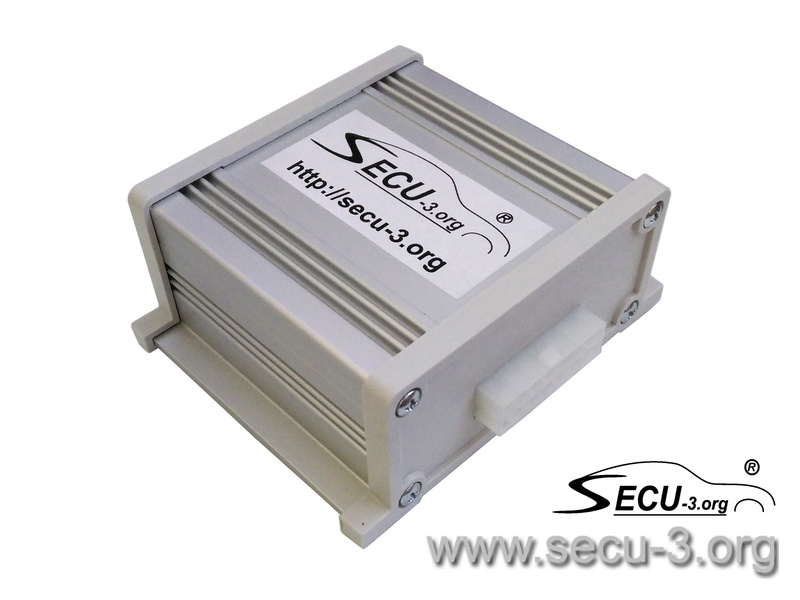 This unit can be used either with SECU-3 units or with any other ECU/EMS. Если вход подключается к выходу FE или IE, то перемычку J5 нужно разрезать, а перемучки J4, J7 соединить. R8 и VT2 выпаять. 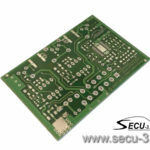 Для FE(IE) в SECU-3 Manager нужно поставить галочку инверсии. Если подключается к другому выходу (например к IGN_OUT4), то перемычки J5,J7 нужно соединить, а перемычку J4 разрезать. R8 и VT2 выпаять.